A unique and memorable experience – a totally custom made walking holiday of 10 – 21 nights which will enable you to enjoy up to six different counties of South West England. Including Wiltshire, Dorset, Somerset, The Cotswolds, Bath and Devon. Walk off the beaten track on our own trails, you’ll avoid busy tourist destinations to get deep beneath the skin of this, the largest and most varied of England’s nine different regions. South West England – the largest of the UK’s nine regions. And it’s also the most rural. 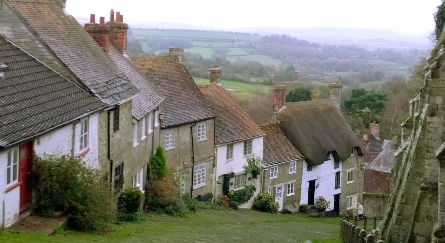 The South West has the highest population in the UK living in small towns, villages or hamlets. With an oceanic climate due to its proximity to over 7000 miles of coastline, the South West sees cool winters and warmer summers. The region, affectionately known as the West Country, forms much of the ancient Saxon kingdom which was once called Wessex. Some of the South West’s unique appeal can be found in its history, its landscapes and its food and drink. 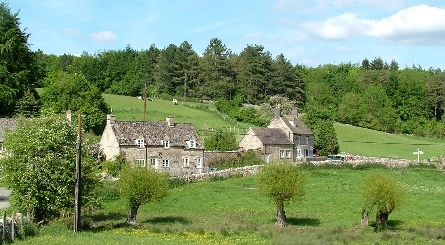 Within small geographical areas and with our local expertise you’ll find this region home to a wide variety of landscapes which make it a delight to explore on foot – including meadow grasslands with wild flowers, chalk down land, English villages, areas of woodland, agricultural land, coast, market towns and hamlets. These varied landscapes are home to a rich variety of nature and wildlife. And each county has its own distinct character, architecture and food and drink specialties. We’ll introduce you to them on your tour. Human history in the South West can be traced back a remarkable 500 000 years. There are remarkable stories and evidence to be found as you walk our trails from every period of human history. (Not all periods in all counties of course). The South West’s great food and drink is well known and much loved. Specialties to look out for and taste as you explore include the crumbling Cheddar cheese, named after the Somerset town of Cheddar where it was first produced. Other cheeses include Double Gloucester, Bath Wyfe and Somerset brie to name a few. Look out for Somerset cider produced from the region’s apple orchards, Dorset and Devon beef, Dorset Apple cake, Marlborough buns and Wiltshire ham to name but a few. 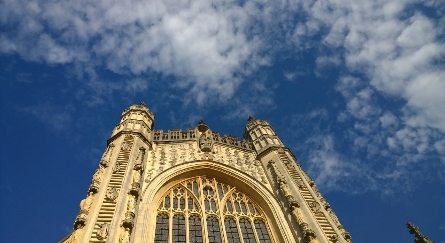 Poets, authors and painters have all fallen under the South West’s charms through the centuries and been inspired to produce great and famous works. There are many examples and some of the most well known include author Jane Austen who lived in the city of Bath from 1801 to 1804 writing Northanger Abbey and Persuasion. Charles Dickens was also greatly influenced by Bath in his book The Pickwick Papers. And Thomas Hardy spent many years living and working in Dorset, inspired to write one of his most famous works Tess of the D’Urbervilles. 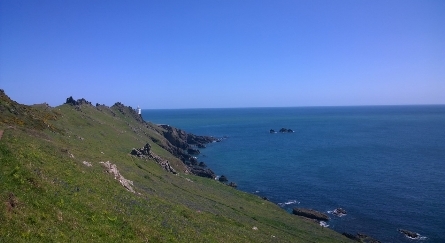 With two decades experience of creating, innovating and planning tailor made walking tours and walking holidays in the South West of England, we would love to plan your memorable adventure with this exciting tour. We prefer to work closely with you, getting to know you and your requirements as your walking holiday/vacation will be completely custom made and hand crafted, meeting your wishes and the English season. Itineraries from 10 – 21 nights are available from early March to around mid November. We offer a unique, flexible choice of trail lengths shorter 5 to 8 miles (8 to 14km) trails or – longer up to 9 miles (14km) trails. We can mix the two, include planned rest days or help with sight seeing options. Car free holiday options are available. Your arrival point will depend on your personal itinerary and we will advise you fully of the nearest airport and train station or provide you with directions and a postcode for your sat nav if you want to drive. • Discover the very best of South West England, off the beaten track relying on our extensive expertise in this region. • Walk on a beach in Devon, skip through a wild flower meadow in Dorset, taste local cider in Somerset and enjoy a cream tea! The best way to find out more is request a detailed example itinerary with photographs, simply pop your details in the form (to the right) and press send. One of our team of capable Trail Consultants will be in touch promptly. Walking is one part of your experience, where you stay is just as important. We personally choose our country inns and form close partnerships which enable us all to provide the best experience and service for our guests. Foot Trails is well known for its choice of hand picked country inns, all of which are located in beautiful English villages. Many of our country inns are award winning in their own right. Expect a warm welcome, delicious local food and drink and really comfortable bedrooms. What’s more, each is chosen to showcase something special about the county you have come to see. 10 – 21 night itineraries are available. ‘Car-free’ options available. With a trip such as this every one is totally hand crafted and tailor made to suit you and the English season that you are walking in. Foot Trails expert team have created over 1000 miles of stunning trails through the South West Region, off the beaten track, and with a myriad possible options for your itinerary your holiday will be truly unique. Your walking tour will be planned for you to your dates and for how long you wish to stay. There are no fixed scheduled dates. We highly recommend booking in advance as places at limited each month. • Independent (self guided) walking days with your own tailor made itinerary and trip to suit you and the season • Tailor made Walk and Explore Box containing everything you need for your trip • Local Ordnance Survey™ map exerts (waterproof) with your trails annotated • Trail guide cards (waterproof one for each day with easy to follow instructions) • Biodegradable map holder • Local stories and histories to discover and enjoy as you walk • Recommended lunchtime stops at country pubs and cafes • Nature cards for identifying wild flowers, trees and animals • Seasonal nature guide book • Sweets (for a boost on route) • Your en-suite accommodation in a classic en-suite bedroom (superior upgrades available) • Breakfasts each day • Transport drop off service to the start of your trail when it makes a better walk. Luggage transfers with our trusted team of drivers if required. One bottle of wine. We will work with you to provide you with a full detailed itinerary and price quote before you book.